In our last session, we learnt that Per Capita GDP reflects the economic status of a country and to improve it, the country must have skilled workforce so that it can produce cost effective quality products and provide services also on par with the international standards. Almost all sectors in the country face now two problems: how to stop quality people leaving the job and retain them and, next, to plan to train the existing workforce to achieve quality in their work. To put the entire matter in a nutshell: The workforce must be actively engaged. Engaging the workforce means that the worker must like the work he is doing and he likes it because the job brings out his best. This gives him a full-fledged satisfaction, so to say. In other words, the worker is satisfied with his work which also, by implication, indicates that he likes, at least accepts the working conditions and his fellow-workers. Let us see how this desirable condition can be achieved. 1. Since the worker is on the job, at the work, his experience of work does matter. If not all, at least there must be some workers who will be more sensitive to the work and they can visualize some improvement in the work as a whole; the instrument can be updated or fine=tuned; the working condition can be so improved that it increases productivity and so on. And he must be given chances to speak out his experience at and with work. This opportunity to speak out appeals to the worker at a deeper level of recognition beside the formal recognition in the form of salary. In other words, he is made to feel that the management is open to new ideas that may emerge from not necessarily from the people at the top, but also from the people at the lower rung of the ladder. The Management may integrate some program or scheme periodically that invites the participation of the workforce in discussing and deciding the policies of the company. This will prove a huge incentive for the worker to continue to be with the organisation. 2. Appreciation works like a magic, inspiring confidence in the worker in his ability as well as in the relationship with the employer. The Management can devise schemes which periodically recognize the meritorious contribution by the worker and honours him with rewards. 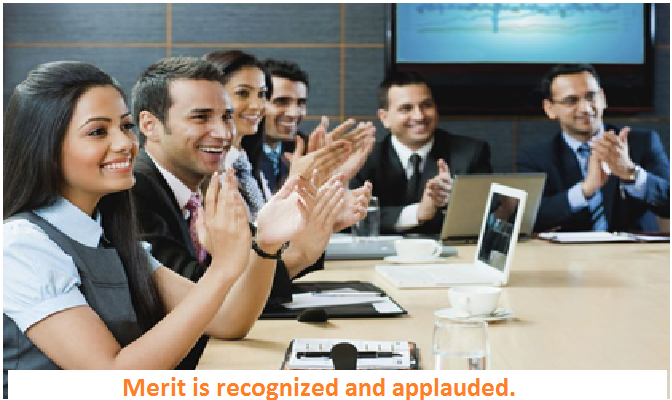 Rewards can be financial or even just certificates in a meeting. But the most crucial factor in this reward scheme is, real merits must be taken into account. There must be transparency in assessing the contribution by the workers. This fair deal with the workers seals positively the relationship with the employer. Apart from the fact that their contribution is recognized, they feel enthused that their recognition is not an expression of favouritism. Innovative initiatives can be evolved every now and then so that boredom does not result from mere repetition. While recognizing the merit of a worker, it is also possible that the worker�s faults also can come to light. If they are small mistakes, they must be tolerated and not blown out of proportions to victimize the worker. In fact, reasonable tolerance of the small mistakes which can be looked upon as the learning experiences is also a form of appreciation of the worker�s hard work. There are some more to say about it and we will take it up in our next session.